Yesterday, news that unlocked copies of the Galaxy Note 3 would be region locked quickly spread online after the phablet's EU and American packaging was revealed to include a sticker stating the device would only work with local SIM cards. The truth, it turns out, isn't quite that simple. Here's what's really going on with Samsung's new smartphone. 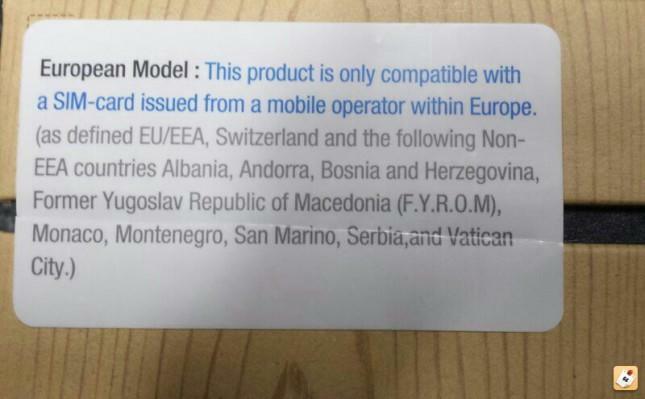 Unlocked versions of the Galaxy Note 3 intended for sale in Europe and Latin America do come with an ominous sticker suggesting the device is region locked. However, it turns out it's pretty easy to bypass these restrictions. As long as the first time you activate the phablet you use a local SIM card from a country listed on the sticker you should be able to switch out different SIM cards from around the world afterward. Users should only see a lock message if they use a foreign SIM to activate the device. The decision to partially region lock the Galaxy Note 3 is likely intended to block unauthorized sellers from shipping the device across international borders. For consumers, it should only be a minor annoyance, but if you do end up locking the device by activating it with the wrong SIM card don't give up hope. You can still contact a Samsung service center or purchase a new unlock code online, though we'd try Samsung first since they may be able to do it for free.